Carolina Dunes Resort offers a great location close to a variety of Myrtle Beach area restaurants and attractions! Guests often inquire about the best things to do near the resort, so we’ve compiled a list of great recommendations. Our “area guide” includes several spots where you can get great discounts or perks when you use your Vacation Member Benefits (VMB) Card that is provided free of charge at check-in. Take a look at some of the great Myrtle Beach things to do that are located within a few minutes of our oceanfront property! Country music fans, rejoice! 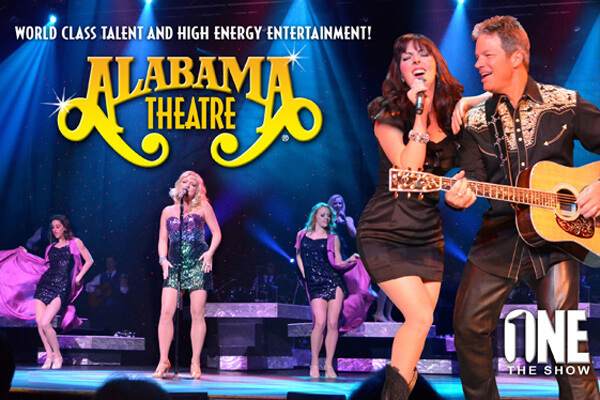 The Alabama Theatre is Myrtle Beach’s home for live entertainment and was recently voted the best live show in town. This exciting attraction features several shows throughout the season, including the famous “One The Show” and “The South’s Grandest Christmas Show”. Visitors enjoy the lively choreography and dramatic costumes that are prominent with every performance. You will be on your feet dancing in no time! Call 1 (800) 342-2262 for more information. Indulge in upscale, local cuisine at Aspen Grille. 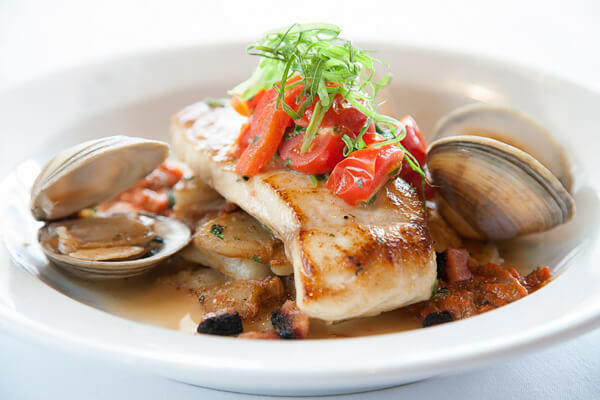 Located just a short drive from Carolina Dunes, this fine dining restaurant uses fresh, locally sourced ingredients throughout their eclectic menu. 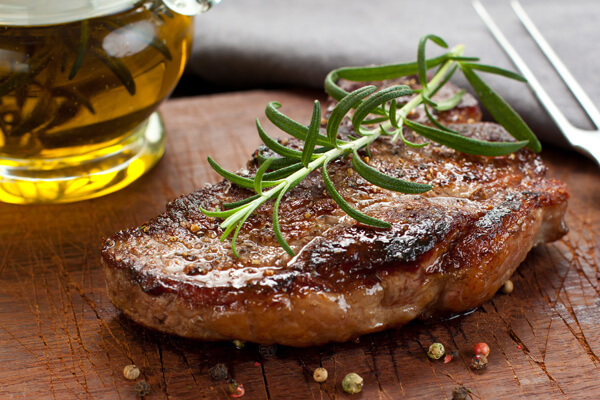 Popular items include the fried green tomatoes, pan seared flounder and shrimp, and the certified angus steaks – to name a few. Guests can also enjoy a beverage from the award winning wine list or tempt their sweet tooth with a decadent dessert. Please call (843) 449-9191 for more information. 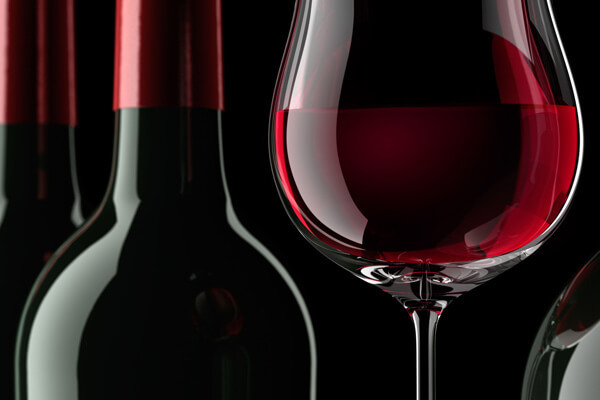 Wine lovers are sure to enjoy the fun, casual atmosphere offered at Boom Boom Wine Room. This unique area lounge offers a Cruvinet system that allows guests to enjoy a 1 oz, 3 oz, or 5 oz wine pour of various selections from around the world. If you aren’t sure what you are in the mood for, the in-house sommelier can help you find the perfect glass. Boom Boom also offers a full menu with a wide array of both light and hearty tapas dishes. Call (843) 839-3990 for more information. 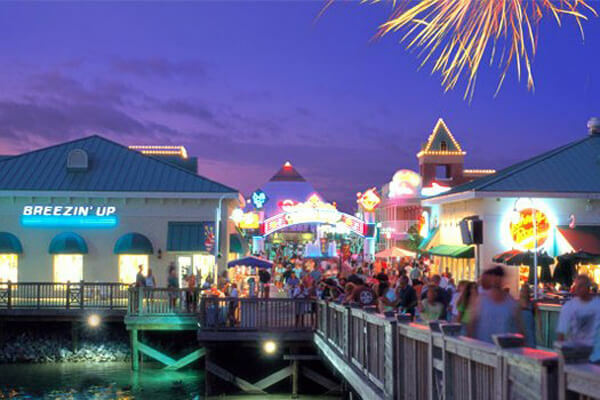 Broadway at the Beach is Myrtle Beach’s home to family fun and entertainment. Located right along Highway 17 between 21st Avenue North and 29th Avenue North, Broadway at the Beach is hard to miss! This expansive outdoor venue is home to tons of great attractions and restaurants for families. Popular spots include WonderWorks, Dragon’s Lair Fantasy Golf, Legends in Concert, Broadway Grand Prix, Ripley’s Aquarium, Hollywood Wax Museum, and Helicopter Adventures – to name a few. Be sure to check out this family favorite during your stay in Myrtle Beach! 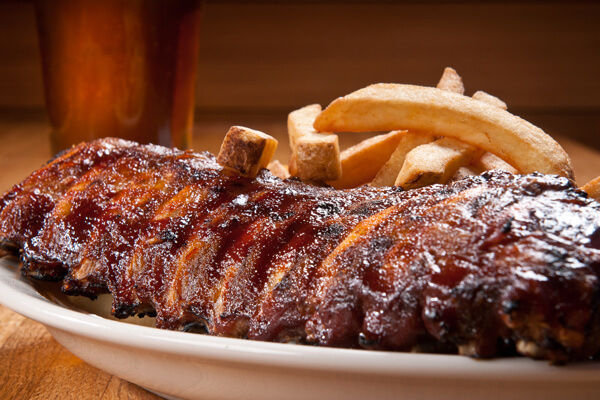 Craving a hearty meal after a busy day at the beach? If so, look no farther than Carolina Roadhouse. This local establishment serves up heaping portions of classic American fare with a Carolina twist. Selections range from tempting appetizers, like Louisiana Seafood Gumbo and Creamed Spinach Nachos, to full meals like burgers, barbecue plates, and seafood baskets. Call (843) 497-9911 for more information. Do you enjoy local food and local brews? If so, Liberty Tap Room is a “must” during your Myrtle Beach vacation! 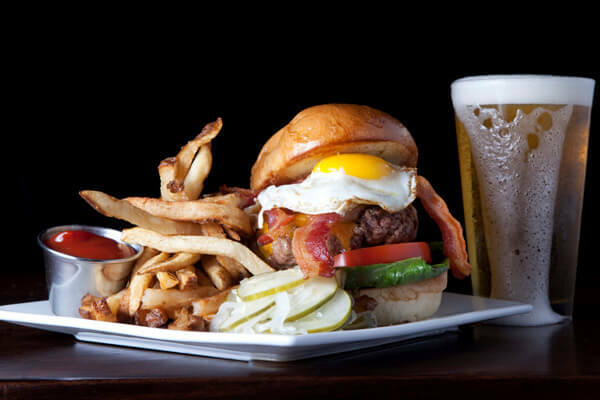 Liberty offers a wide selection of craft beer options, including several of their very own concoctions, in addition to a hearty, home-style menu that is sure to satisfy your cravings. Liberty also boasts one of the best Happy Hours in town and hosts fun specials during the week, like weekly trivia and game day specials. Lovers of fantastic Italian fare will definitely want to pencil in a trip to Lombardo’s Bistro. Located right around the corner from Carolina Dunes, Lombardo’s is a true local gem that serves up traditional Italian favorites in an upscale atmosphere. Popular dishes include eggplant rollatini, fettuccine carbonara, chicken cacciatore, and the famous Lombardo’s lasagna. Be sure to save room for a piece of tiramisu! Call (843) 497-6699 for more information. You won’t want to miss out on the excitement offered at the Myrtle Beach Boardwalk! This oceanfront walkway is located downtown and spans over a mile in length. 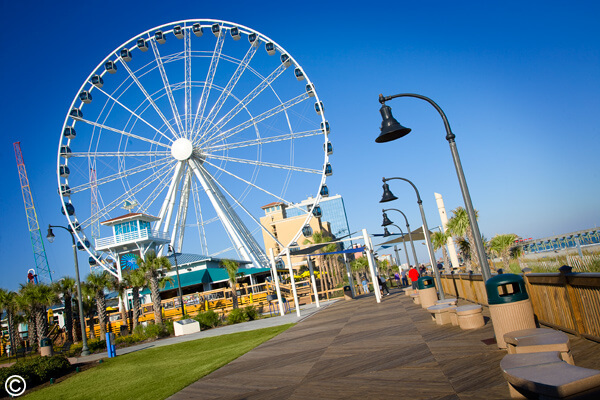 The boardwalk is packed with action, from exciting local attractions like the Myrtle Beach SkyWheel and the Ripley’s Believe It Or Not Odditorium, to seasonal events like the Hot Summer Nights festival. Additionally, the boardwalk area offers plenty of great restaurants to help you refuel during your adventures. Ahoy, mateys! 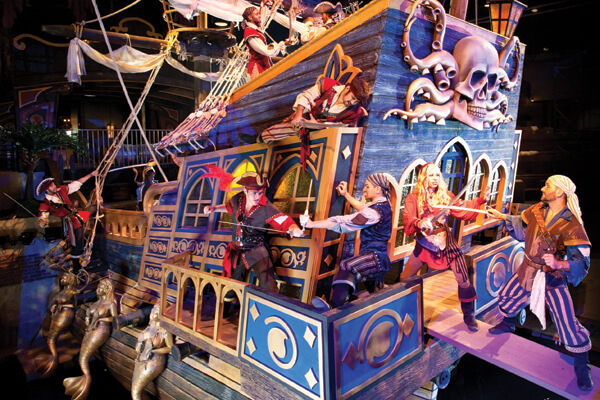 Strap in for a swashbuckling good time at Pirates Voyage! This family attraction offers a decadent four course meal and hours of live entertainment that will keep you on the edge of your seats. Guests have ringside seats to the area’s most epic battle. Watch in amazement as two rival pirate crews battle for the lost treasure. The show includes amazing acrobatic feats and special appearances from friendly mermaids and nautical creatures. Several packages are available. Call (843) 497-9700 for more information. Savvy shoppers and souvenir lovers alike are sure to love the affordable offerings at the Tanger Outlet Stores. Grab everything from great apparel and accessories to bargain priced gifts and mementos when you shop at the outlet stores. Tanger currently offers two Myrtle Beach locations, one along Highway 501 and one closer to Carolina Dunes off Highway 17 Business. Retailers vary at each location but include favorites like Old Navy, Vineyard Vines, Columbia, North Face, Sketchers, Oakley, and many, many more. The Carolina Opry is one of Myrtle Beach’s oldest and well respected live entertainment venues – and it’s not hard to figure out why! 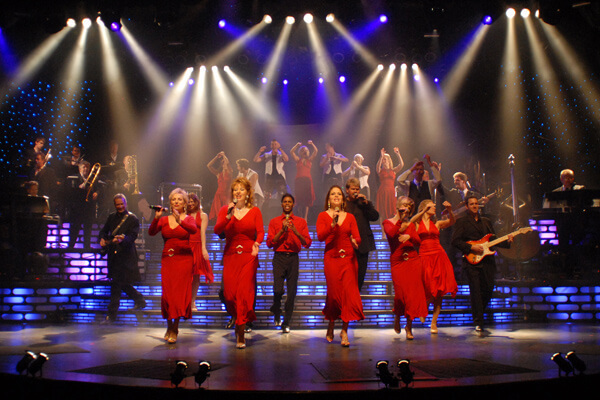 Often touted as the “best show in Myrtle Beach”, The Carolina Opry offers several shows throughout the year that are perfect for family outings or group trips. Popular shows include Time Warp, Thunder & Light, and The Carolina Opry Christmas Special. Call (843) 913-4000 for more information.